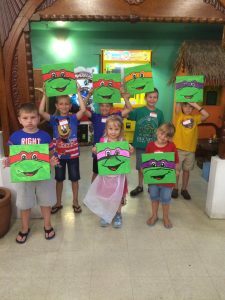 Looking for a fun, new way to celebrate a birthday or special event? 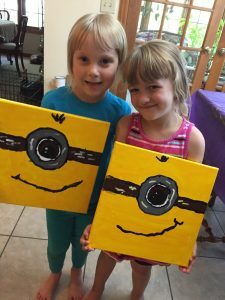 Try a painting party! 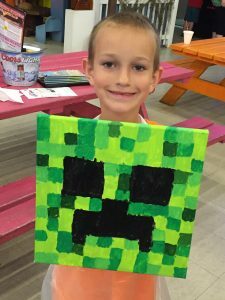 You pick the theme of the painting, or we'll create a custom one just for you. Superhero, princess, animal - the possibilities are endless. 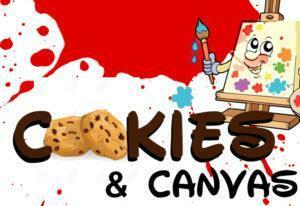 Pricing on Cookies & Canvas children’s parties varies according to the size of canvas, number of children, and location of the party. 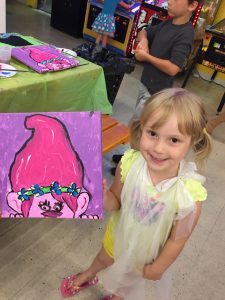 Kid's painting parties are for those ages 5 through 12. No experience necessary! Parties are about 1.5 - 2 hrs. in length, so allow some extra time for your refreshments and/or games. can create a custom painting for you at no additional charge. 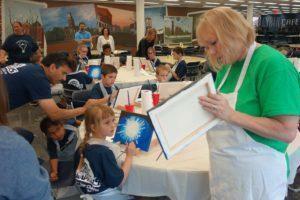 A pre-painted canvas will be available for the kids to look at for inspiration. 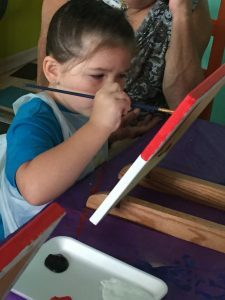 We walk the kids through the entire painting process and make it “fun.” Some paintings may be pre-sketched or have other “helps” to make their experience a good one. (It’s up to you if you want parents to stay to help or participate, but it’s not necessary. A 30 – 45 minute set-up time is required by canvas-connections before the party begins depending on the number of participants. Food (cake, etc.) should be at a separate table/location than the painting table area. 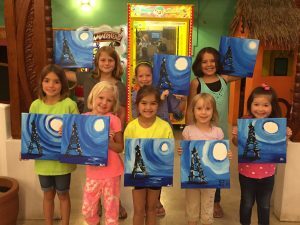 We are a mobile painting party company and can do parties in a variety of places like kitchens, basements, garages…or a local restaurant. 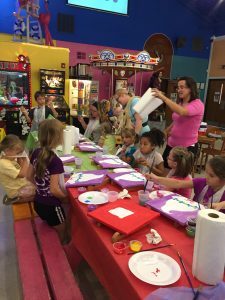 (A few we know about that allow painting parties are Pizza Ranch, Burger Barge and Avanti’s) You can check with other places just by calling. By not having a brick and mortar building, we can offer lower costs than the "other" paint party places! As you can see, we offer GREAT quality. * Plastic disposable aprons for each little artist. 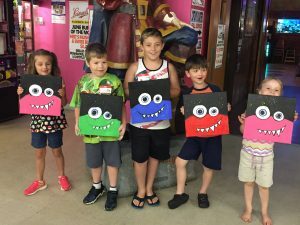 Kid Party "On a Budget"
For ALL birthday/kid parties over 15 miles from Morton, there is an additional one-time travel fee of $25. 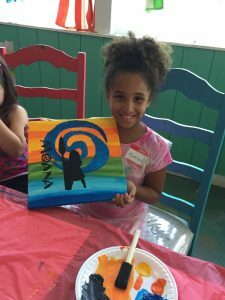 To request a Kids or Age 13 to Adult party, go to canvas-connections.com and click on the fundraiser/event tab, then click on the appropriate button to fill out the appropriate form. 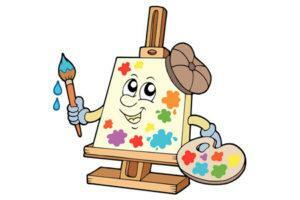 Check out our "GALLERY" page for more painting samples/ideas!